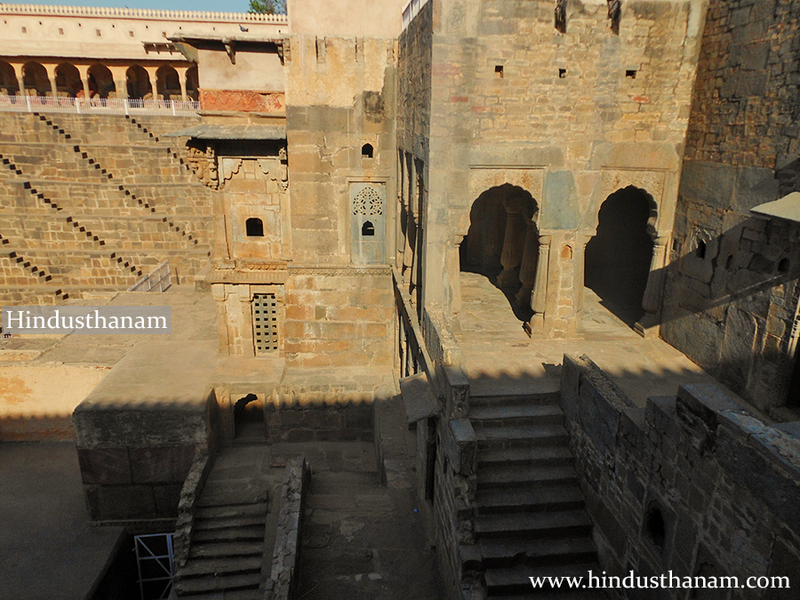 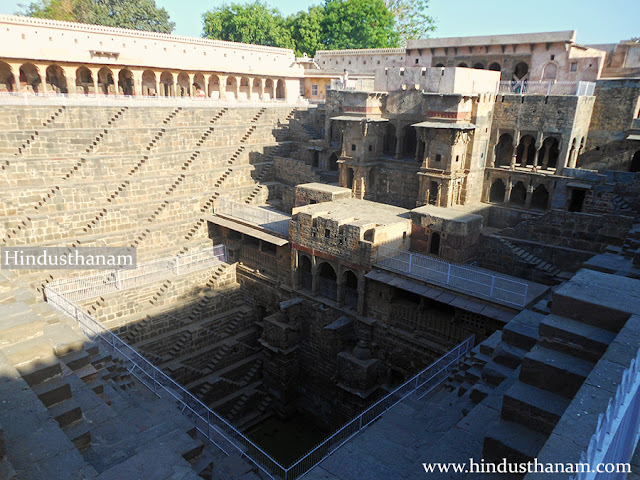 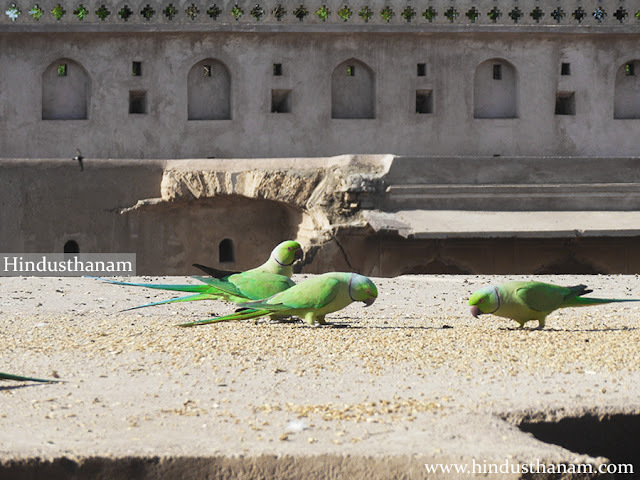 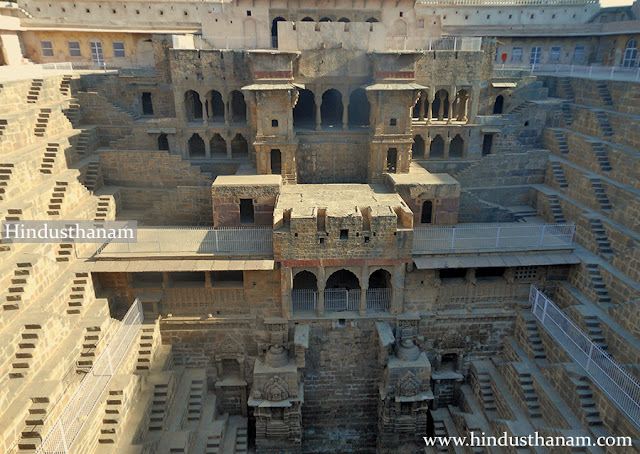 Chand Baori is one of the oldest baori (stepwell) in Rajasthan and classified as one of the biggest in the entire world which was built by King Chanda (Chandra) of Nikumbh dynasty who ruled Abhaneri or anciant Abhanagari during 8th-9th century A.D. This 19.5 meter deep baori is square on plan with entrance from north. It is provided with double flight of steps on three sides. 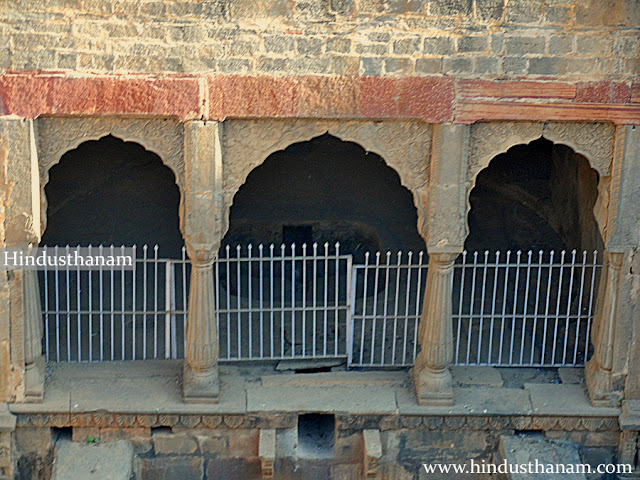 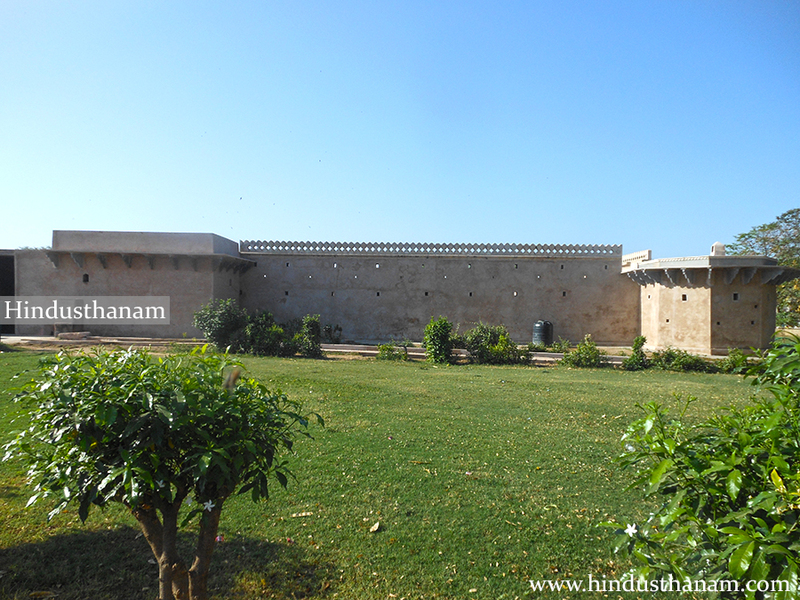 The northern side consists of a multi-storeyed corridor supported on pillars and two projecting balconies enshrining beautiful images of Mahishasurmardini and Ganesha, the enclosure wall, side verandah and the pavilion at entrance are later additions.